If your product is found to be either damaged or "dead on arrival" (DOA), please email us at customerservice@diytools.com.au for a Return Authorization number (RA#) within 7 days from the date you receive the product. Returns must be received by DIY Tools within 14 calendar days from the date the RA# is issued. Products received later than this date will not be accepted for return. 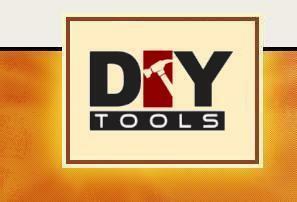 Full manufacturer's warranties are supplied with merchandise purchased from DIY Tools. After the return period has expired, please contact the manufacturer to resolve any problems with your equipment. Pack all items in a sturdy shipping carton (not just the manufacturer's carton). Include a copy of your invoice in the carton. Please keep the original invoice. Print the RA# on ALL 6 SIDES of the shipping carton. Packages without a visible RA# will not be accepted. 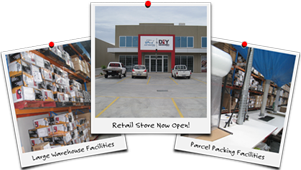 Customer is responsible for cost of return shipping. Use the most convenient means of shipping. For products returned in accordance with this policy, a replacement product will be shipped within 14 calendar days from the date we receive the merchandise. Please note that shipping and handling fees are not refundable. If we no longer have any more of the product in stock then a refund will be provided.